Learn How to Create Your WordPress Website Today! COURSE DESCRIPTION: There’s no way of getting around it—every author, writer, and other home business absolutely must have their own website. And, if you’re an author, it doesn’t matter if you’re published or not—you need a website. Imagine hearing of an amazing restaurant with the best prices in town. Your mouth begins to water. You’ve got to get to that restaurant. But...you can’t find an address or even the correct spelling of the name. How to you find it? Or, suppose a friend tells you of a must-read book. It’s just what you’ve been looking for. Your friend didn’t tell you the title of the book, but she gave you the author’s name. How will you find the book? No matter what you’re looking for, the answer will be the same: the internet. And, once the internet is mentioned, you know websites are involved. So, again . . . you’ve got to have a website. If you’re still not sure this is an absolute truth, here are just a few statistics to prove it. As you can see, the internet has thousands, millions, even billions of online searches—people who are looking for what you’re offering. If you’ve written a book or are promoting another product or service, it’s indisputable, you must have an online presence. So, after questioning the need for a website and realizing you MUST have one, you may now be questioning the time element: When should I begin my online presence? If you’re not sure what ‘your platform’ is, it’s what you have to offer, what you’re about, your niche and expertise. Your platform is about establishing a connection with your readers/visitors (your audience). It’s about getting your visibility going and growing. What an industry expert has to say. This question assumes that there’s no benefit to having a site unless it’s to market, promote, and sell a book. But there are several good reasons to start a site even if you’re not yet established. Okay, above are practical, but generic reasons to have your own website. Now, let’s get to the bottom line? How can a website actually help you? 1. Do it while there’s no urgency. If you’re trying to sell something, at some point you’re going to be in a position where you MUST get a website up and running. Creating it before there’s an urgency gives you time to get familiar with running a site. It’ll give you time to learn the system and tools. 2. Does anyone know you? The very basics of promotion is to create visibility and generate a following, an audience. You need people to sell to. This is considered building awareness. A website is the foundation of how you do this. There’s a marketing idiom: people buy from people they trust. Having a website and having people be able to stop by builds a relationship. This relationship in turn builds trust. You need this to create a successful business or career. 3. You have an open door which can lead to opportunities. The amazing thing about the internet is you never know who’ll come a visiting. In 2012, Brian Klems, of Writer’s Digest, was surfing the web for freelance writing sites. He happened upon mine and WOW! I was honored as Writer’s Digest Website of the Week and Brian added a powerful little blurb about my site. You just never know. A potential buyer, client, customer, publisher, or agent may happen upon your site. Think of the lost opportunity if you don’t have a website up and running. I get regular clients from online searches. This is fact. It works. You must have a website. So, the question now becomes, why don’t you have a website? No doubt, even thinking about having to create your own website can be intimidating. And, the thought of having to pay someone to do it for you, may be even more frightening. Well, that’s where Create Your Own WordPress Website Today comes in. This e-class removes the fear of doing it yourself. There’s no technical stuff involved. Just simple easy-to-follow instructions with screen-sharing videos to SHOW you exactly what to do, along with one-on-one help (hand-holding). This is one of the most value-packed, cost effective e-classes there is. It’s a 5 day class, but you can have your website up and running in less than a day. Or, you can choose to take your time. Either way, you’ll have the tools and help you need to get it done. And, get it done right! Whether you don’t have a site yet or you have one, but it’s not doing what it should, now’s your opportunity get in on the game. In case you’re wondering why the class shows you how to create a WordPress website, it’s because it’s one of the most popular software: It’s user friendly, great for search engines, and you don’t need to know coding or html to use it. 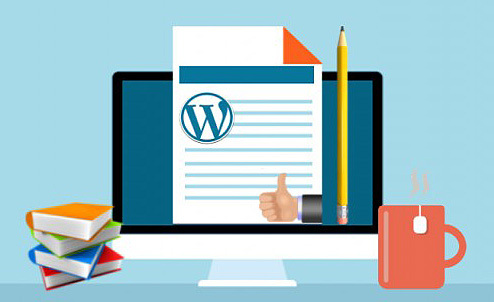 The Create A WordPress Site class definitely met my expectations and provided all the information, print and video, that I needed to get my WP website off the ground. The information was easy to follow and broke down all the elements that were confusing about WordPress prior to this class. It covered the basics and provided information for developing my site further with plugins. Most of all, this class gave me the confidence and helped to focus my efforts so that I could get a website up and running in 5 days. Why you absolutely, positively, no-doubt-about-it need a website whether you’re a published or unpublished author/writer. What is website optimization and why is it important? Don’t procrastinate! Get started today! ABOUT YOUR INSTRUCTOR: Karen Cioffi (http://www.articlewritingdoctor.com/) is a former accountant who is now a multi-award-winning author, ghostwriter, freelance writer, editor, and author-writer online platform marketing instructor. She founded and manages Writers on the Move (a marketing group), and presents online writing and marketing workshops and webinars. In addition to this, Karen’s website, Karen Cioffi Writing and Marketing (http://karencioffiwritingandmarketing.com), was named Writer’s Digest Website of the Week, June 25, 2012. COST: $97 for the course, which includes one-on-one support. BUY NOW: Create Your WordPress Website Today with Karen Cioffi (starts every Monday). Limit: 5 students. Enroll today! Notes: Upon successful completion of payment, your name, email address, and contact info will be submitted to your instructor. She will contact you via email with information on how to get started. 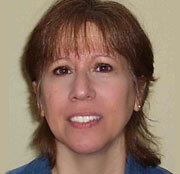 Karen Cioffi-Ventrice is the go-to person for online marketing. She knows her stuff and does what she does with heart. A huge vote of thanks and waves of appreciative applause for all the time, effort and enthusiasm you invested in this workshop. For me it has certainly been one of the highlights of this conference—so many thanks for sharing all your expertise so generously. I think there will be more than several better websites and promotional pages on the Internet after this.